Here's a rare one that was unearthed in the past two years, with only two known copies (so far). 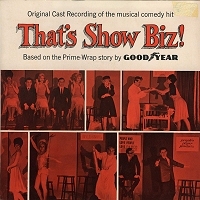 That's Show Biz, an early 60s EP by Goodyear. You might expect it to be about tires, right? Nope. 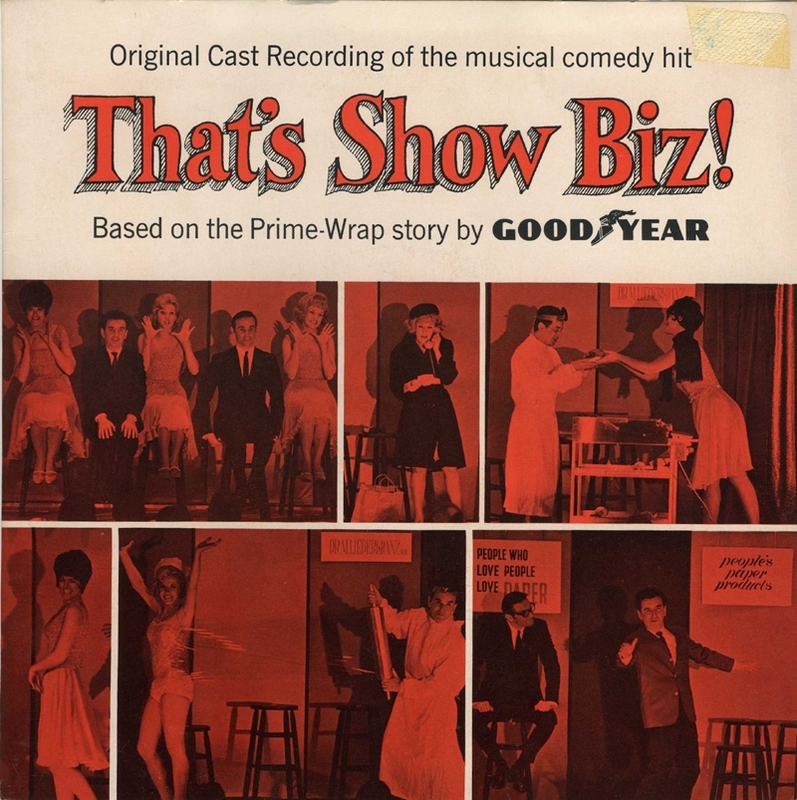 This show is entirely about the introduction of Prime-Wrap, Goodyear's brand new plastic wrap for meats! Enjoy the anonymous, hard-working cast belt it out for The Man! Image: Front Cover, That's Show Biz! Im new to 365 Days Project and even newer to the fabulous phenomenon of Industrial Musicals. Who would have guessed that music could have been written in honor of meat plastic wrap(?) The 60s were really innocent times. Thanks for rescuing this gem and sharing it. And plese post more Industrial Musicals. Love 'em! "Wrap her Prime Wrap and she'll cooperate!" Wow. A thing of its time, for sure. Thanks for unearthing and sharing such rarity! Wow! Prime Wrap is better than ACID!! !